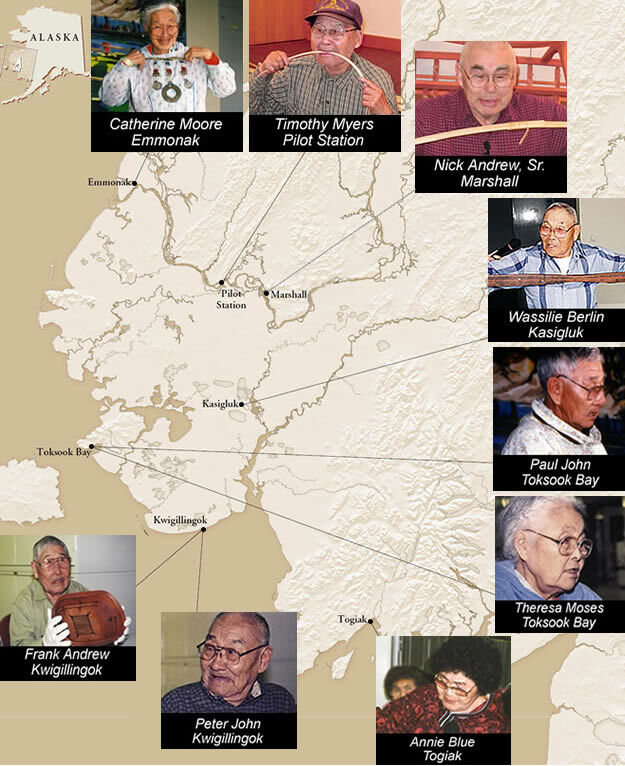 Some of the many elders who shared their knowledge with us. Marie Meade guides students through the Yup'ik mask exhibit in Toksook Bay, January 1996. Paul John said, "The objects in museums, our ancestral objects, are not insignificant. If we live using them as our strength, we will get closer to the ways of our ancestors. And when we are gone, our grandchildren can continue to live according to the knowledge they gained." Tamakut cassuutellrit tarenrauluki, igauluki, wall' tungaunaki pingkatki ukveqkanillerkaatnek neryuniurutengqertua. All those implements our ancestors once used, by seeing their pictures, reading about them, or actually seeing them, I'm hoping that our people gain more faith in themselves. Nineteenth-century collectors gathered Yup'ik things to preserve what they saw as a dying culture. 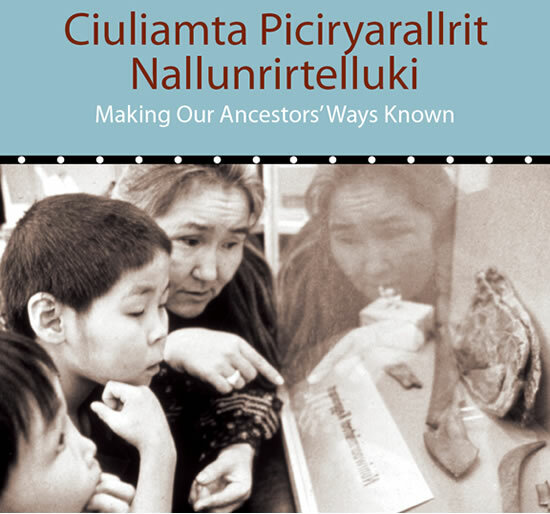 Yup'ik people now use these things to share their living traditions with their younger generation and with the world. The quotations throughout this exhibition are by contemporary Yup'ik men and women as they reflect on the tools and materials displayed here.